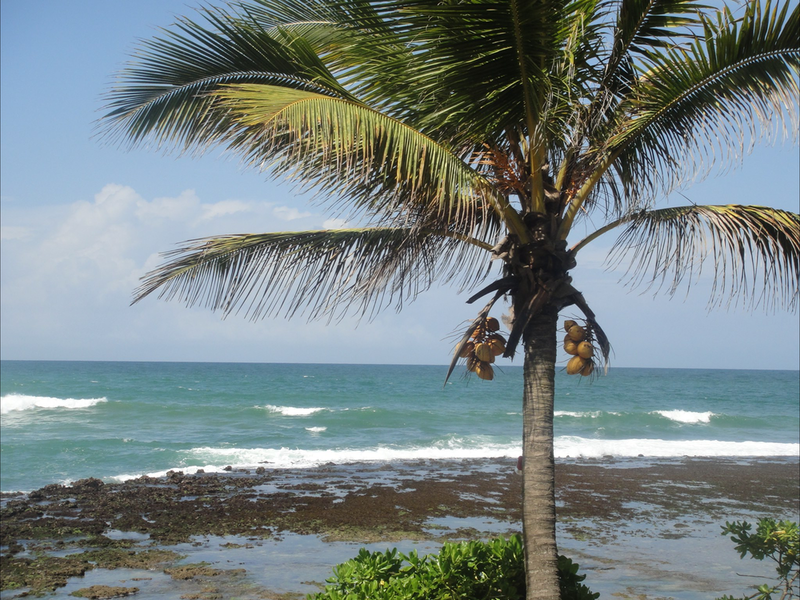 If you are considering a holiday in Sri Lanka then I would say do it! 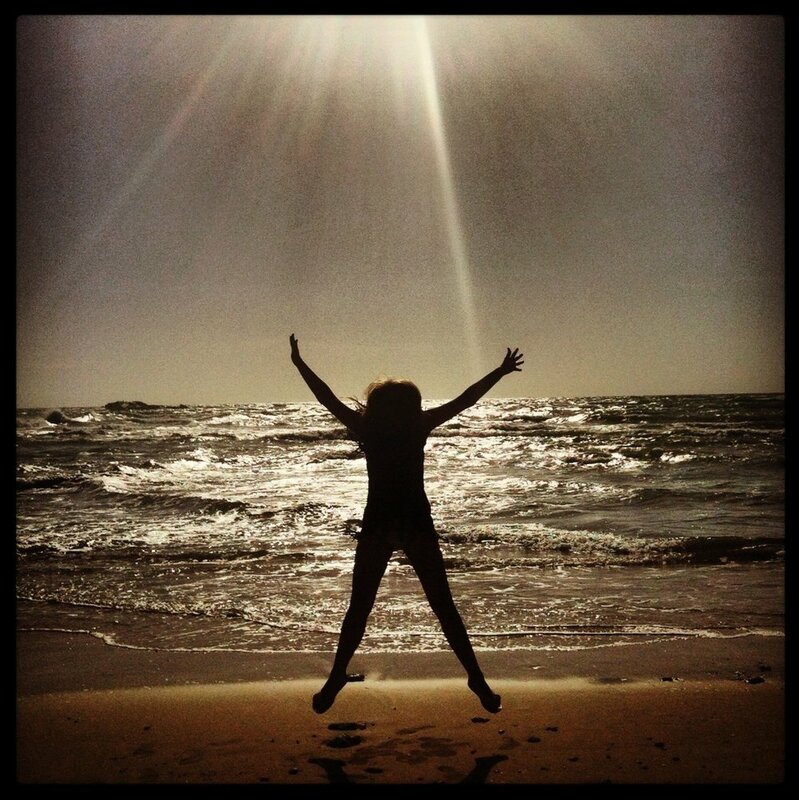 It really is an interesting beautiful country with lots of different things to do with lovely beaches. This is what I got up to on my first visit to Sri Lanka. We flew from Bahrain to Columbo and then we were picked up by Sammy Tours who drove us down the motorway to our first stop which was Dambulla so that we could visit Sigiriya Rock and Dambulla Caves. 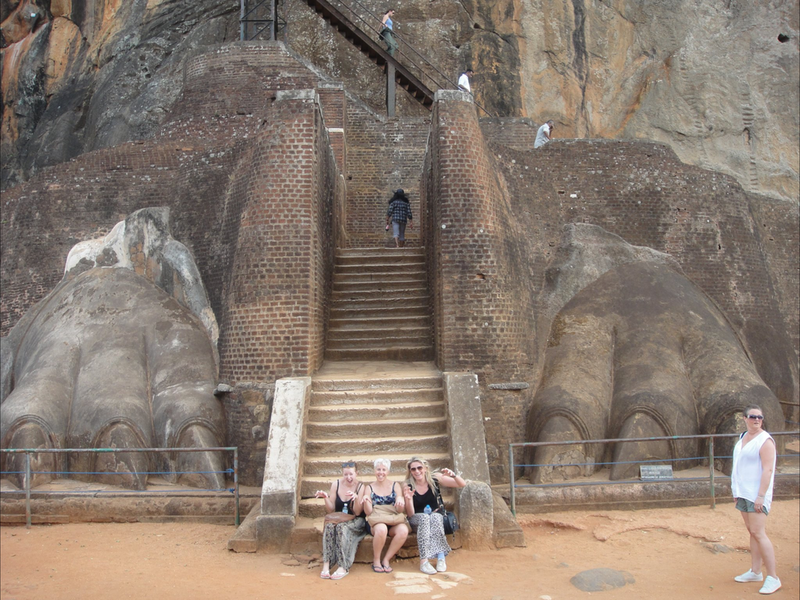 Our itinerary was non-stop so although we were a little tired we went straight out to Sigiriya Rock (Lion Rock). This I absolutely recommend doing if you decide to visit Sri Lanka, it is a huge rock 660ft with around 1200 steps to the top which once upon a time was a royal palace and city around 477AD. Our guide was a great storyteller and told us about how the land in front of the rock used to be baths for the King and his wifes/concubines and how it had been filled with water and ancient engineering. As you walk up the side of Lion Rock you will come to frescoes on the rock of dancing girls which are well preserved and quite detailed. When you are close to the top you will notice the lion paws entrance to the final staircase. At the top the views are amazing, you are looking out into miles and miles of tropical green, its like something from Jurassic Park. The next day we went to Dambulla Cave Temple which starts with the Golden Temple which has a large gold Buddha on the roof. From the Golden Temple there are lots of steps to the Dambulla Cave Temple. The cave temple is definitely worth the effort of the steps, really quite amazing. Quite dark inside the caves but once your eyes get used to the light you will see all the brightly coloured buddhas, not sure how many but there are a lot. I asked Sammy why there were so many and he advised this is because of so many people doing pilgrimage here, there has to be enough for everyone. 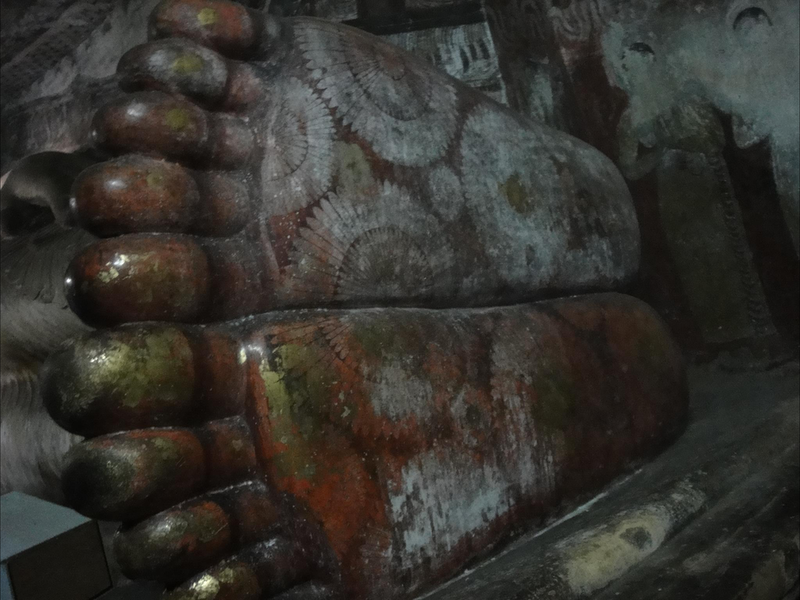 Think my favourite was the horizontal Buddha for his lovely painted feet. The next day we headed to Minneriya for an elephant safari. 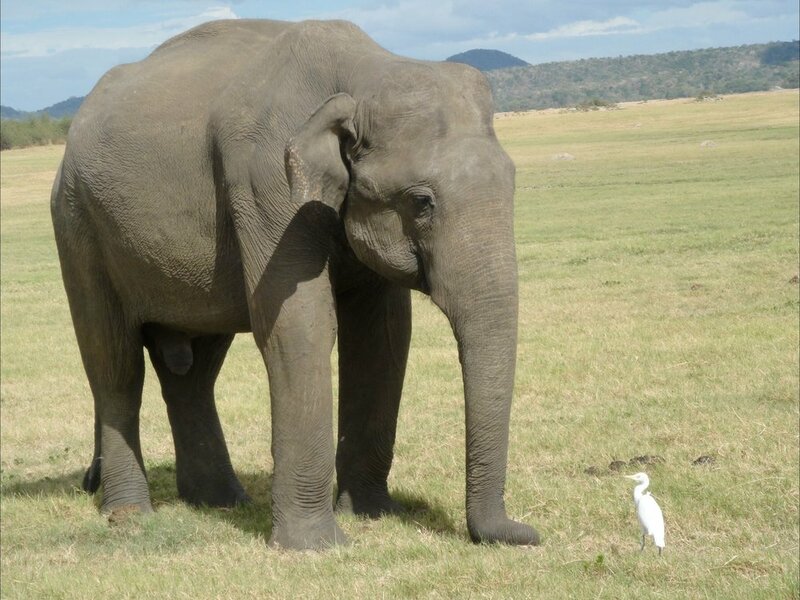 Minneriya is famous for its elephant population and the "gathering" where elephants assemble at the reservoir during dry season. It was lovely to see so many elephants in one place. Our safari driver did have to be careful though as if a male is in musk they can be aggressive. We had to drive backwards at one point to get as far away as possible from one. Definitely recommend Minneriya for an enjoyable safari. Sammy then drove us to Kandy, which was a long drive. At Kandy we visited the Temple of the Tooth which is worth a visit. Lovely building and paintings inside. You can buy a flower offering outside. The following evening we went to the Cultural Centre to watch traditional dancing. All the dances have different names and meanings and are very colourful with masks and traditional dress. 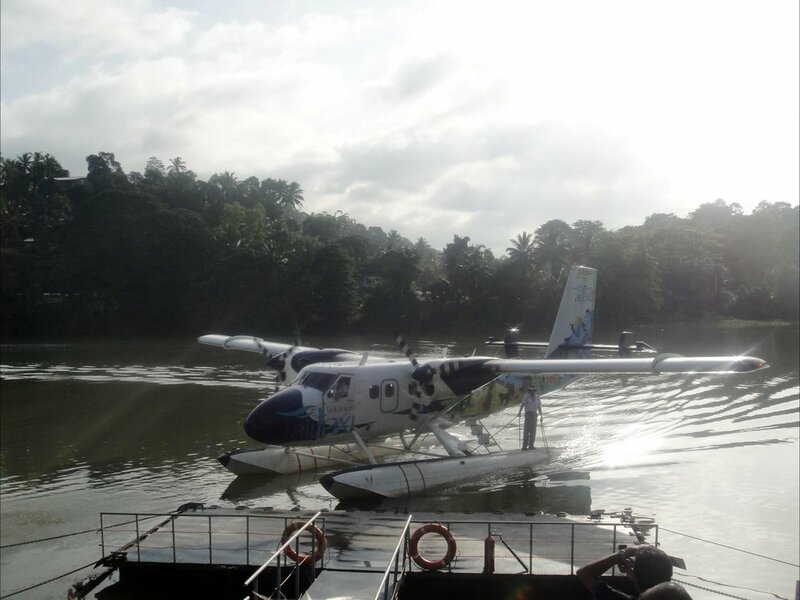 One of the most memorable events of this trip was going to Kandy Airport for our flight from Kandy to Koggala. So we checked in and Sammy drove us to.....the river. It was such a surprise that the airport was, well, just a grassy river bank. So we are there waiting, watching a huge monitor lizard come out of the river and wander back in. When the plane turned up all the locals came down to take pictures of it. When we boarded we found that we were the only four people on the plane so it is basically our own charter plane! 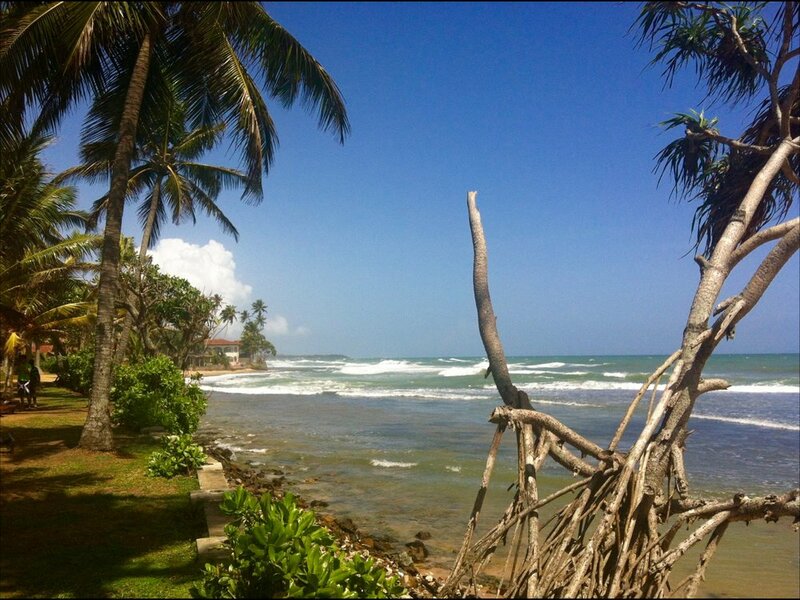 From Koggala we drove to Hikkaduwa to the Chaaya Tranz Hotel right on the beach. After all the travelling and sightseeing we had been doing we needed a beach break and R&R. This hotel was great and we had a balcony to watch the sunsets on. There was a private grass area next to the beach which the hawkers were not allowed to access so was perfect for some peace and quiet. The beach was steps away and there were turtles in the sea. Galle is very close to Hikkaduwa and one of the days my friend and I got a tuk tuk to Galle and had a look around. They have some very nice boutique shops there and we bought some unusual goods there. Hikkaduwa also has lots of shopping opportunities, mostly art galleries but lots of original paintings amongst all the replicas there. Also lots of ladies have their own boutique shops selling duvet covers and clothing. Some of it was really lovely, I bought a few things. From Hikkaduwa we travelled back up to Columbo on the motorway and stayed at the Galle Face Hotel. This colonial influenced hotel is really lovely and they have a 1935 car on display which used to belong to Prince Philip. Went to the Cricket Club CafÃ© for a drink which has lots of Sri Lankan cricket memorabilia. We packed quite a lot into this holiday and would not have been able to do all the logistics without our tour guide/bus for some of it. 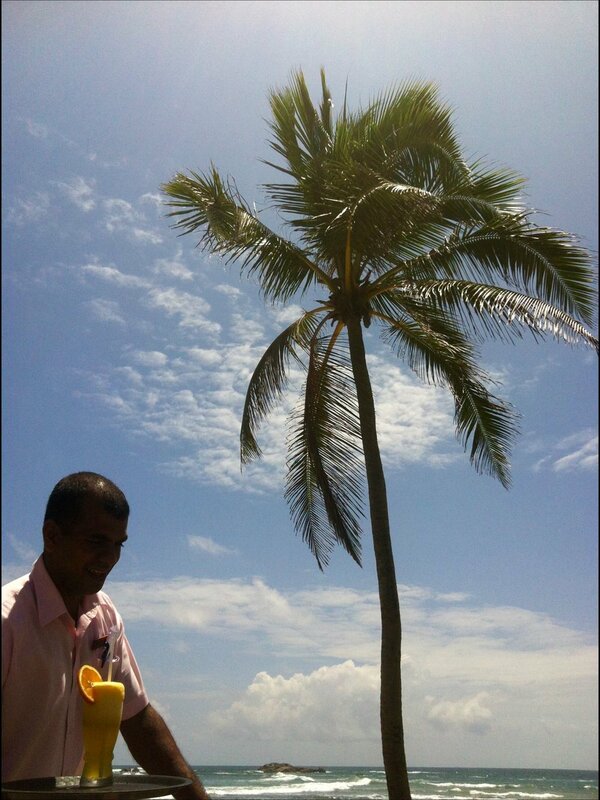 Would recommend Sammy Tours (www.srilankasammytours.com) as Sammy is quite happy to tailor the trip however you want it or to suggest an itinerary and he can also help with booking hotels as he can get some discounts.